Lani Lombard is the heart behind Lani’s Farm Kitchen and True Living in Cradock’s main street. 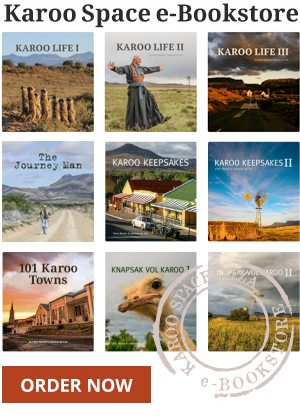 Delicious Karoo food, farm goodness and real hospitality. An excellent bookshop in a small Karoo town, for rare and collectible books and damn fine reads. Visit Jagersfontein for beautifully crafted, elegant items combining wire, beads and glass. McNaughton’s Books in Graaff-Reinet offers one of the largest choices of new. second-hand and collectible books in the Karoo.